Narrm / Melbourne, so-called Australia: Graffiti mural in memory of 17 year old Russian Anarchist-Communist Mikhail Zhlobitsky who died while carrying out an explosive attack against the FSB (Federal Security Service) Regional Headquarters in Arkhangelsk, Russia on October 31st. 19.11.17: Tonight, a group of people in Naarm / Melbourne, responding to the call out for 8 Days of Solidarity for Refugees, undertook an action targeting Serco. Serco is a multinational corporation which is directly responsible for the inhumane incarceration conditions faced by refugees, asylum seekers, and detainees, in so-called Australia. Serco is also a major player in the international privatised prison complex. Wilson Storage and Wilson Parking benefit from the suffering caused by Wilson Security on Manus, Nauru and elsewhere. In the past week we attacked both subsidiaries with glue, concrete, paint and hammers. We will continue to attack Wilson Group until they pull out of detention wholly and permanently. Any company associated with the border industrial complex is a target. We urge our comrades to join us in solidarity with protesters on Nauru and all others incarcerated. On the night of Sunday 26th June we glued the locks and spray painted the entrance to Wilson Security on Sydney Road, Coburg in Melbourne. Wilson provides security at Nauru and Manus Island detention centres and are responsible for numerous, well documented abuses of detainees. Solidarity with the protestors at Nauru detention centre! On the 2nd July, the day of the federal election in so-called Australia, we glued locks, graffitted and broke the windows of Liberal and Labour MP offices across Narrm/so-called Melbourne. We did this in solidarity with those on Manus Island, Nauru and in detention centres everywhere. End the border & prison industrial complex. End white supremacy. In response to recent threats of violent eviction by the French State, actions were taken at several locations in Melbourne, the city built on the stolen lands of the Wurundjeri people of the Kulin Nation, in colonised Australia. The actions targetted the French consulate and offices of companies of the VINCI corporate-family linked to the proposed destruction of land at the Zone-A-Defendre. The French consulate was attacked with paint and its locks were stuffed and glued. The Offices of Menard-Bachy and Fressynet (both companies owned by VINCI), had their windows broken and slogans in support of the ZAD painted on the facade. The Melbourne office of Electrix (a company owned by VINCI) was redecorated with a number of slogans celebrating resistance to VINCI’s plans. for countless civilian deaths worldwide. Nikos Romanos and Panagiotis Argirou in Greece. 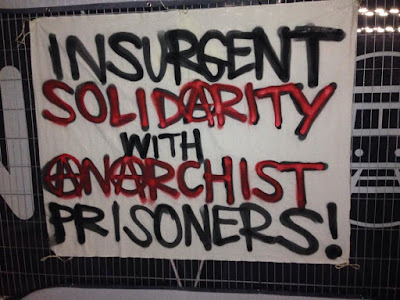 ‘Australia’ – all of whom are political prisoners. 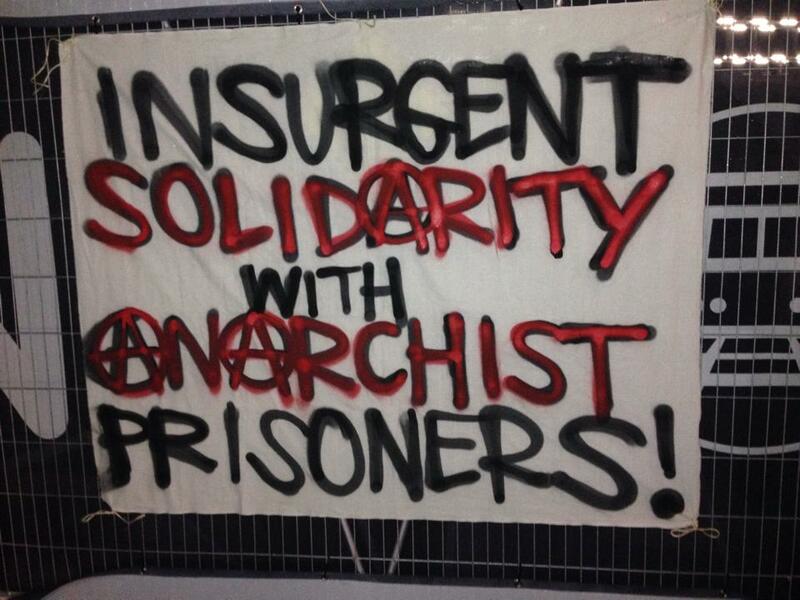 INSURGENT SOLIDARITY WITH ANARCHIST PRISONERS! FIRE TO THE PRISONS AND THE SOCIETY THAT KEEPS BUILDING THEM! First reports are coming in that an Australian YPG volunteer named Ashley [also known by his Kurdish name, Hevan Bagok] has been killed in combat defending the town of Shingal, also known as Sinjar in Nineveh Province near Mt Sinjar. There are also reports coming in of another foreign fighter killed in combat, however no confirmed details have been released yet.